for restaurants, catering, pizzerias, coffee shops, bars and food trucks. Effective inventory management for restaurants relies on several elements that work together as a system. 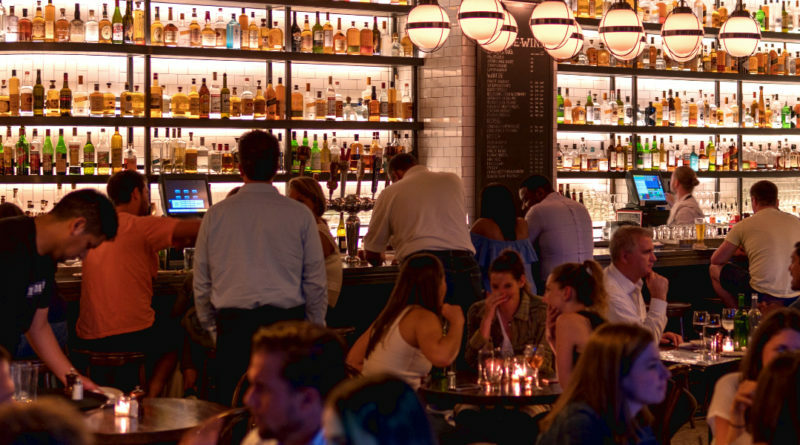 This system, if executed well, provides guests with consistently great food and restaurant operators with the means to help achieve their intended financial results. Merely completing these tasks while running a restaurant can feel like, and at times may very well be, a rather large accomplishment. Effectively managing inventory will take a solid understanding of these key elements and the discipline to ensure they are done properly day in and day out. Nevertheless, dedicating the time to understand how to do effective inventory management and adopting inventory management software is an investment that is will surely pay off. It is also worth to keep managers and staff members in the loop with how these inventory controls work and with what your company’s targets are for areas such as food and supply costs. A team that knows not only how to follow procedures but why they are done, is more likely to achieve great results. Successful operators understand and teach their staff that the goal of a restaurants’ ordering system is to keep a minimum number of products on hand without running out of items before the next scheduled delivery. This is accomplished by calculating workable par levels as explained by CPA, JD, MBA Sal Curcuru. ✓ Creating an order guide with accurate item descriptions and updated par levels. Remember to account for food that will be prepped and sold the day the order is placed when establishing par levels. ✓ Review the order guide regularly and use it as a tool to train the staff by pointing out perfect orders and ones which had opportunities for improvement. Creating an order guide is one thing, using it properly requires putting in the time to train staff on filling out the guide completely for each order and how it affects profits. Having the staff members initial the guide once each order is completed will provide accountability. ✓ Organize and rotate all products on shelves, racks, etc. before deliveries arrive to make room for new items and to create awareness of all items in the building. (This should actually be done throughout the day, or at the very least between shifts and at closing). ✓ Ensure that every item on the invoice is received, inspected, and is the correct product with no damage. Communicate immediately with suppliers regarding anything that is missing, damaged or unacceptable in order to have the item replaced or refunded. ✓ Refrigerated and frozen items are to be stored right away and returned to its correct holding temperature. ✓ Check that all perishable items like produce, dairy, and meats, etc. are delivered fresh and have sufficient shelf life before they will expire. ✓ Date items for rotation purposes using the FIFO (first in first out) method. ✓ Keep it organized and complete to include all recipes, cut fruits and vegetables, and pre-made items such as desserts or appetizers for the day or shift so that all items are checked for quantity at least a few times a day when the prep sheet is reviewed. ✓ The prep sheet needs well thought out pars for all recipes and prepared items. Include the shelf life for all prepped items and recipes on the prep sheet as well. ✓ Check that there is enough product on hand to complete all prep items planned for the day. A good practice is to complete the prep sheet at the close of business for the following day, giving a heads-up on any potential product-related problems. ✓ Finally, the manager on duty should be aware of what items are being prepped that shift and spot check prep workers for recipe consistency and proper food handling. Have prep staff and managers sign off on the Prep Sheet every shift after inspecting its proper completion. ✓ Use complete, organized inventory sheets that list all items, preferably broken down by categories like produce, dairy, meats, etc. using the last price paid for each item. Sheets should include raw products and prepared recipes. ✓ Count shelf by shelf throughout the restaurant rather than following the inventory sheets so no items are missed. ✓ Have two people conduct inventories; one to count and one to record to minimize mistakes and increase consistency. ✓ Determine the units of measure such as case, pound, tube, etc. There can be more than one unit of measure for an item, for example, ground beef could be counted by the 80 lb. case and by the 10 lb. tube, just be sure the inventory team clarifies it when counting. ✓ Review the inventory sheet after it is complete for mistakes or concerns. Ensure all items are accounted for and that no items are over-counted, accuracy is the most important part of the inventory. It is recommended to take food inventory throughout the month, generally on a weekly basis, to keep a close eye on food cost percentage and make sure there are no surprises at the end of the month. Inventories can even be taken daily to track a certain product or category of food cost. Daily counts are normally done for high-cost items or for a food cost category that may be very high to help determine where the problem is coming from such as the end of day waste, theft, mishandling, over portioning, etc. Beginning inventory is the amount of food or supplies in dollars that is in the restaurant to start the month (which is also the prior month’s ending inventory). Purchases are all the inventoried items that were bought between the beginning and ending inventories. Ending inventory is the total amount of food or supplies in dollars counted at the end of the financial period (for the day, week, month, etc.). Note that in the example above, the total food cost percentage of 25.21% is broken down into several smaller categories. These categories make it possible to pinpoint where high food cost issues are coming from so they can be addressed directly. There is no real secret to effective inventory management, but rather like everything in the restaurant industry, it requires knowledge, planning and most of all the discipline to do the right things right, every shift. To be successful with managing inventory, operators must effectively manage their people. Give them the knowledge to uphold these systems, hold them accountable, and their success will be yours as well. Karolina is an Expansion Marketing Manager at POSbistro. She helps brands identify their customers, reach out to them and build a trusted, personalized and relevant communication as well as deliver the best commercial results. Are you doing these 7 things to maximize your food truck revenue? Get expert tips straight to your inbox! Copyright © 2019 Innovative ideas & solutions. All rights reserved.